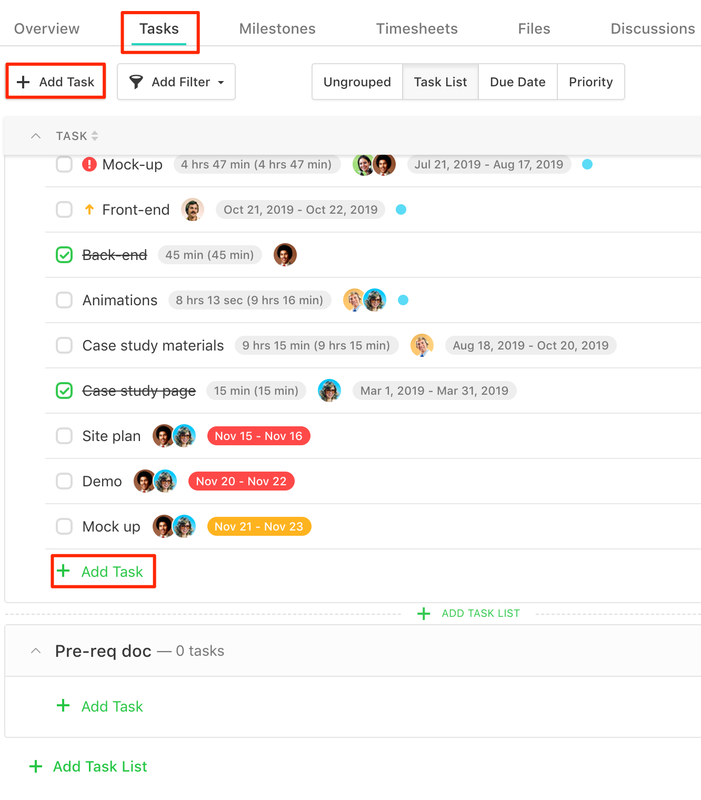 How do I add task lists and tasks? 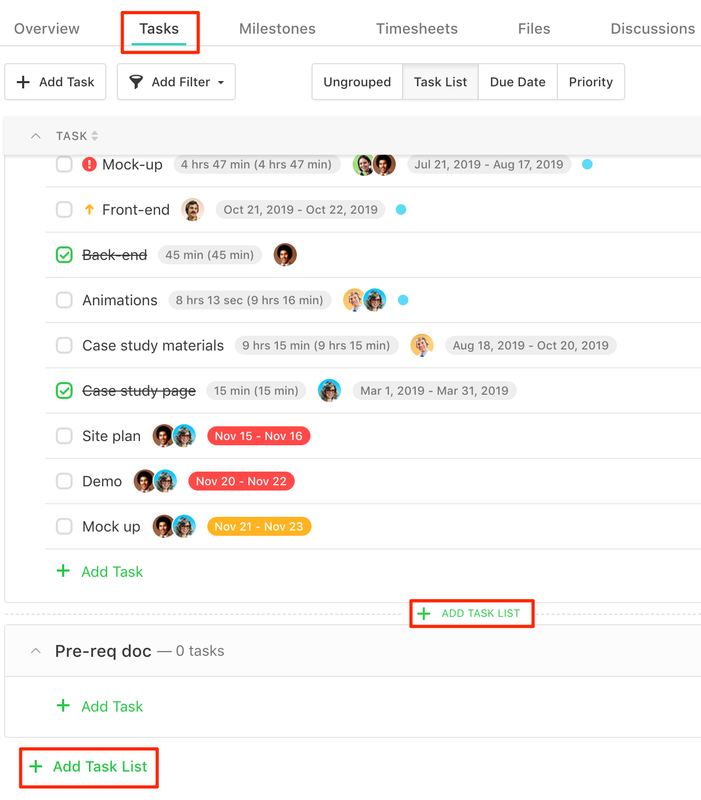 In order to add a task list you need to go to the Tasks area of a project and either click on the Add task list button on the bottom of the task list or on the Add task list button between the task lists (this appears when you hover over that particular area). If you wish to add tasks you can use the Add task button and then continue using Enter/Return to enter new ones or go to the desired task list and click on Add task from there.